Responsibilities are extending beyond internal digital infrastructure, and "the CIO of today is becoming more externally facing with customers than they've ever been, and CTOs are too." Data is only as valuable to an organization as the tools IT and business have to make something out of it. Before the data engineers and artificial intelligence algorithms can get their hands on it, a company has to bring the data somewhere it can be worked on. The extract, transform, load (ETL) process pulls data from its separate sources and moves it to a new place, such as a data warehouse, where a company can begin using it to generate value. It's a data process that many companies have pinpointed as a key innovation market and carved out a product strategy around. But ETL is just one integration tool, and more businesses are demanding tools and services to tie their platforms, data and departments together in particular ways. As the industry shifts to public cloud, intelligent applications and the edge, the push for microservices — the "LEGO building blocks of technology" — is growing, according to Steve Singh, CEO of Docker, speaking at the Talend Connect conference in New York on Wednesday. When 85% of an IT budget is accounted for before the next fiscal year even starts, the CIO is tasked with the hard job of driving this innovation while reducing reliance on legacy infrastructure, Singh said. Technology leaders like Eric Johnson, CIO of Talend, find themselves in a difficult job that is changing every day, but by learning to straddle the divide between business and technology and to communicate the promise of the future to the customers, effective technological change from the bottom up can take place. Data warehouses have been around for years and have a perception of being old, boring and stodgy, but new technologies are completely transforming data warehousing and management, according to Johnson, in an interview with CIO Dive at Talend Connect. It's a continually disrupted area, with faster innovation and a bigger market than many traditional areas of tech. But changing a data management strategy can be like steering the Titanic, necessitating the balance of a lot of people, processes and technology — which Johnson ranks in order of importance. Without a team filled with talent that is cared for and nurtured as a top priority, it's hard to steer that ship effectively; in many ways, the technology can be the easiest part to deal with. With the rapid pace of innovation, having the agility to embrace new technologies as they come about and move a business to a new system is critical. In the cloud and data space, it's all about making a business more efficient and streamlined as well as finding common platforms for people to collaborate and innovate on, according to Johnson. "I think for us that cloud strategy, and also having a hybrid cloud strategy, so people can move through their cloud journey at whatever speed they think that they're comfortable with, is really resonating with customers," said Johnson. Plenty of businesses are still hesitant to go all in on cloud, which puts pressure on vendors to open up avenues for customers to dabble at their comfort level. TD Bank, for example, used Talend technology to move from unorganized data to a Hadoop cluster and then to a data lake, finishing up with the liberation of information from a "data jail" to an Everything as a Service system, according to Joe DosSantos, VP of Enterprise Information management at TD Bank, speaking at Talend Connect. The Bank containerized and modernized its environment, and this portability means that when the company decides to migrate to the cloud, they can do so at a lower cost and on a faster timeline, DosSantos said. Customers don't just buy what a vendor is selling for the present, but also what they are selling for the direction the industry and technology is headed down, Johnson said. By investing in hybrid and multicloud management, containerization, serverless computing and data management — even when so many companies are still just starting the move to the cloud — Johnson and Talend are already betting on the future. The dynamism that surrounds conversations about data demonstrate that the business and technology sides are increasingly speaking the same language. Talend isn't Johnson's first rodeo as CIO. 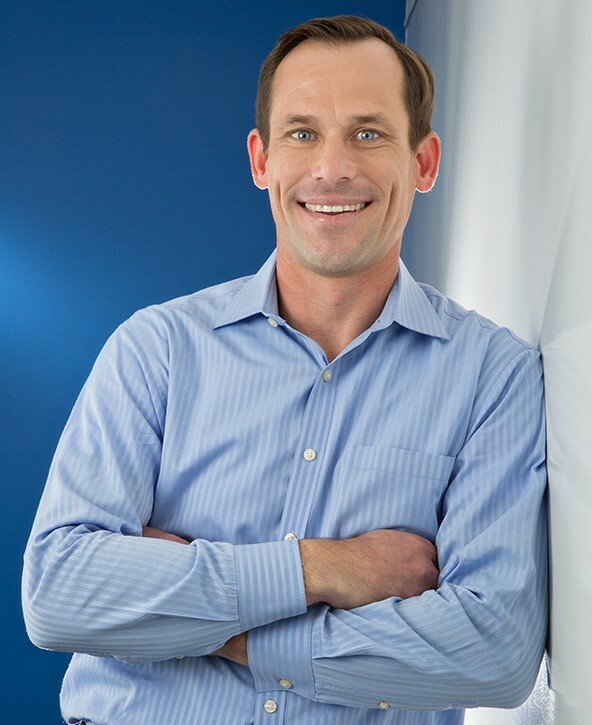 The longtime IT exec joined Talend in January after serving as SVP and CIO of DocuSign and SVP and CIO of Informatica. Compared to 10 years ago, the role of the CIO has changed a lot. Responsibilities are extending beyond internal digital infrastructure, and "the CIO of today is becoming more externally facing with customers than they've ever been, and CTOs are too," he said. A modern, progressive CIO is a business person who understands technology and how to leverage it for business results, according to Johnson. Translating the need for new technologies can be difficult, and as a CIO, jumping in with a new customer and telling them what ETL solution they need won't serve either party in the long run. This means starting with the end in mind – What challenge is a business facing? What value do they want from data, or what question do they want to answer? – and working forward from there, according to Johnson. Once a basic goal is on the table, the customer and vendor can figure out what data they need to reach it, where that data is and how to get it. Without that groundwork in place, understanding what data query to run or what machine learning algorithm to use is nearly impossible. As CIO of a technology company, many customers a CIO interfaces with are also IT leaders. The ability to build up relationships in the industry and serve as a conduit for knowledge with these peers is important, according to Johnson.